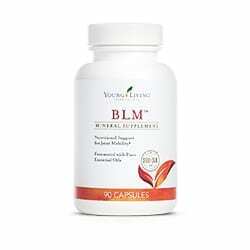 Whether you are looking to prevent joint or bone discomfort due to aging and normal daily activities; or you already are experiencing occasional discomfort BLM Capsules may be worth a try. If you weigh less than 120 lbs., take 1 capsule 3 times daily. If you weigh between 120 and 200 lbs., take 1 capsule 4 times daily. If you weigh over 200 lbs., take 1 capsule 5 times daily. Allow 4-8 weeks of daily use before expecting noticeable results. Keep in a cool dry place. Keep out of reach of children. Do not expose to excessive heat or direct sunlight. If pregnant or under a doctor’s care, consult your physician.